Iowa-Advanced Manufacturing (I-AM): A Talent Success Strategy for the 21st Century Workforce received a $12,951,165 Round Two TAACCCT award to respond to advanced manufacturing employer demands for skilled workers by developing/expanding the number and types of credentials (e.g., credit/non-credit certificates, diploma, Associate’s degree) offered within seven new/expanded signature programs: Welding Technician/Technology, Machining/CNC/Tool and Die, Industrial Maintenance, Industrial Automation, Manufacturing Technician/Technology, Robotics, and Transportation and Logistics to students interested in expanding their education and skill set. Many of the signature programs developed by this project aligned their curricula with third party certifications (e.g., American Welding Society [AWS], National Institute for Metalworking Skills [NIMS], Certified Production Technician [CPT]) that assess whether students have met the requirements to work in their respective fields enabling them to obtain certifications locally. Providing third party certifications (e.g., AWS, NIMS) in Iowa is notable because many of these were previously available only at locations out of state, presenting potential hardships for students, employees, and employers. 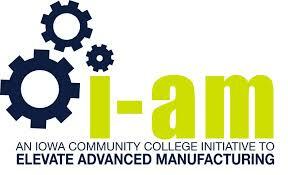 Implementation of the I-AM program has helped enhance student services (e.g., intensive/intrusive advising, career navigation, third party certifications, Credit for Prior Learning), increased visibility of the program through statewide and regional marketing efforts, and increased the number and increased the number of students participating in the various advanced manufacturing signature programs.